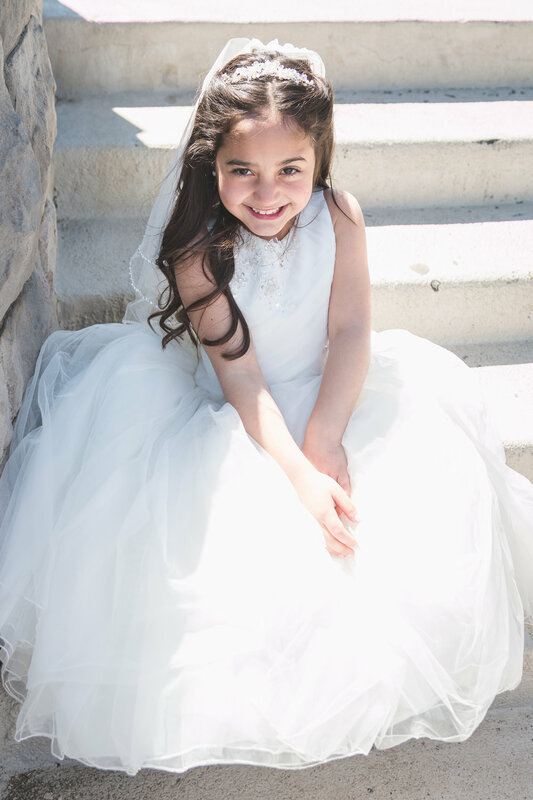 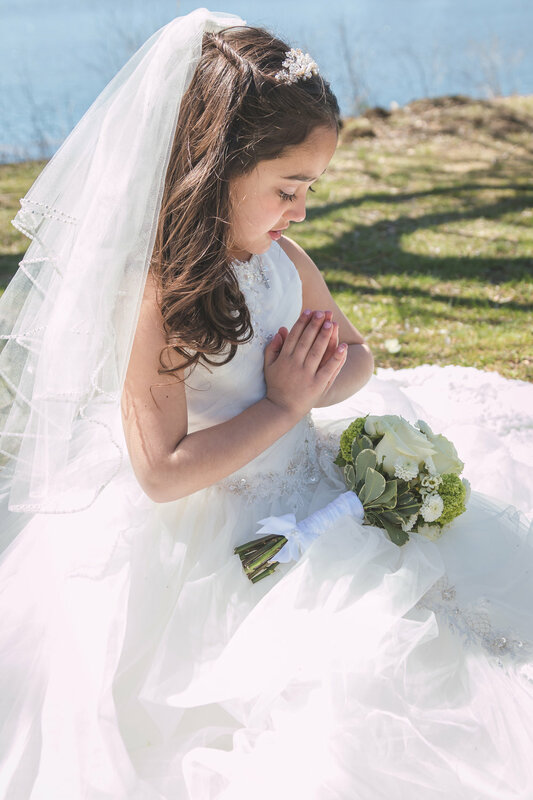 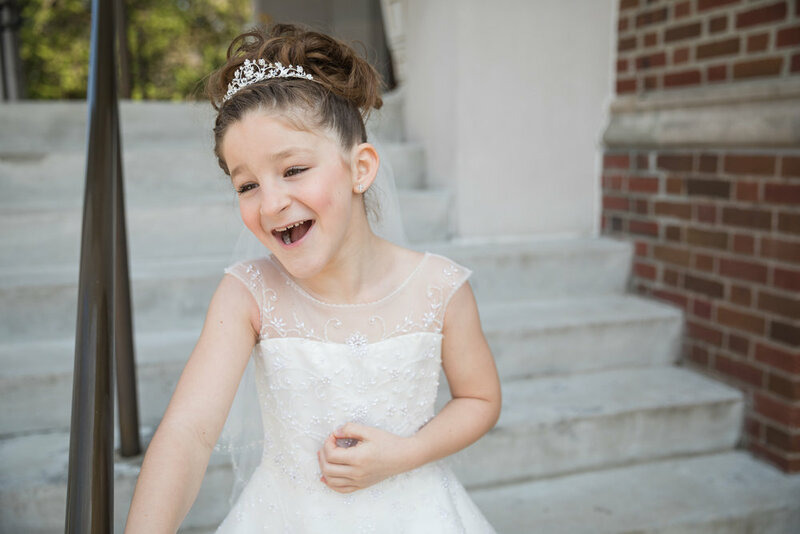 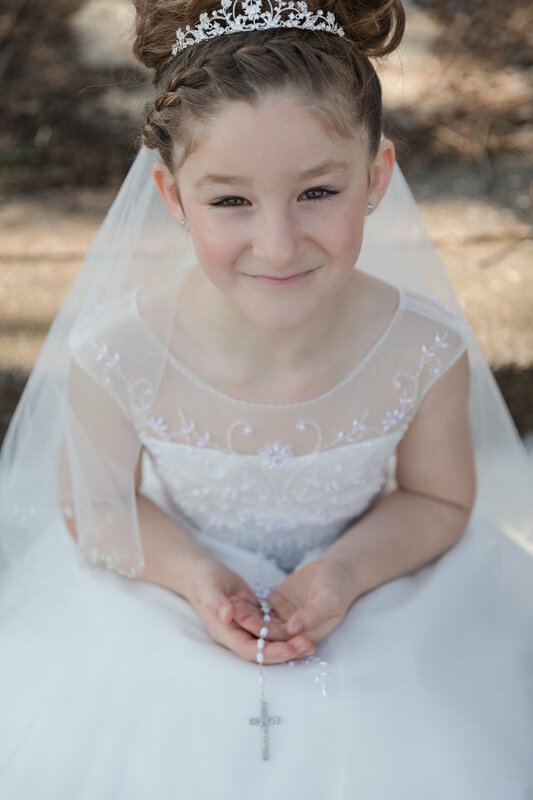 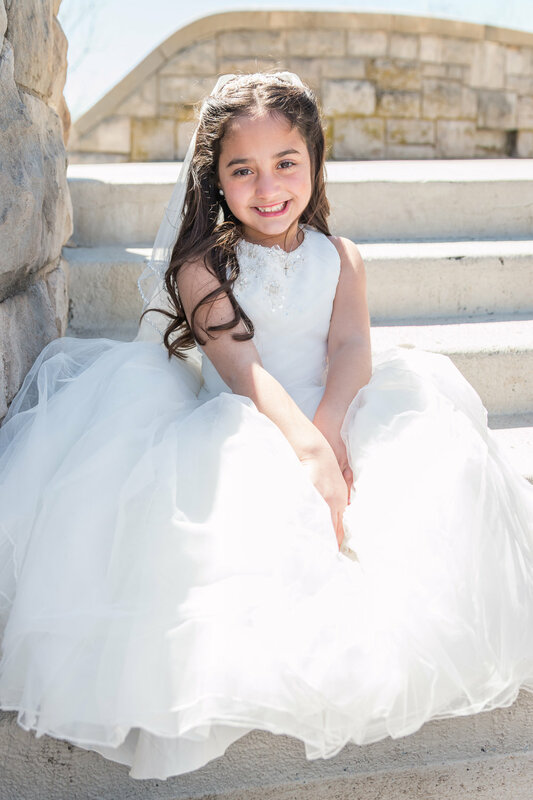 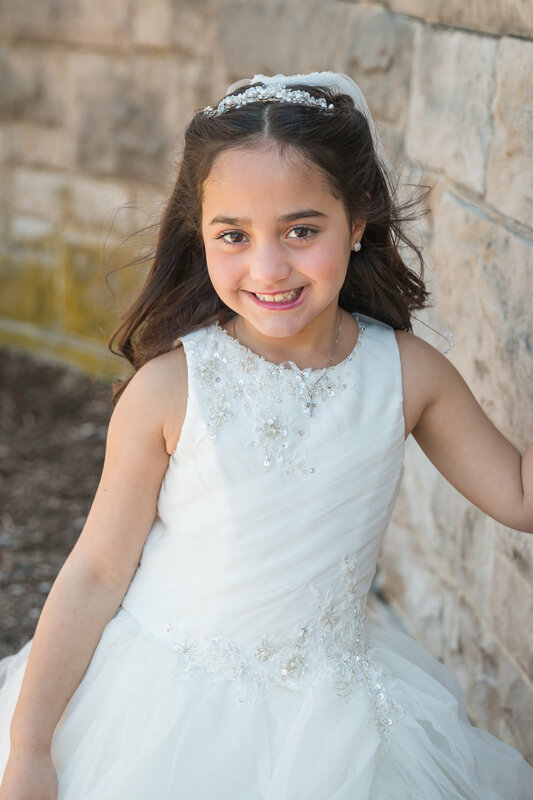 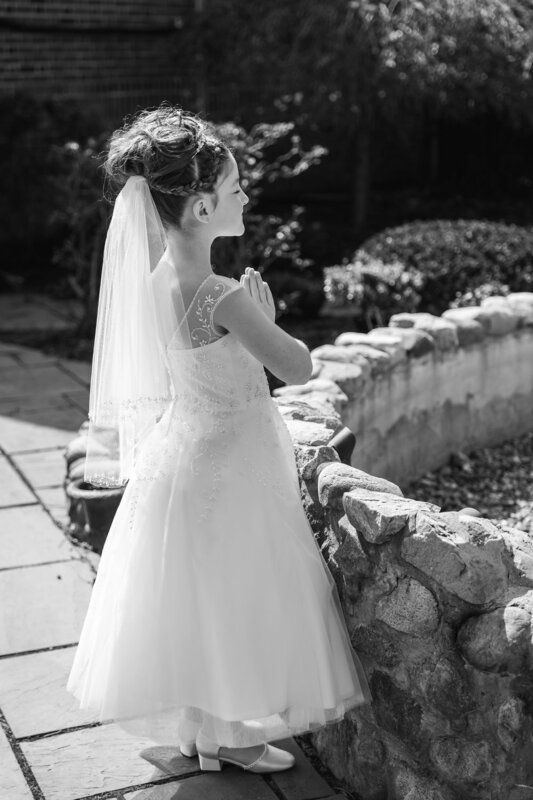 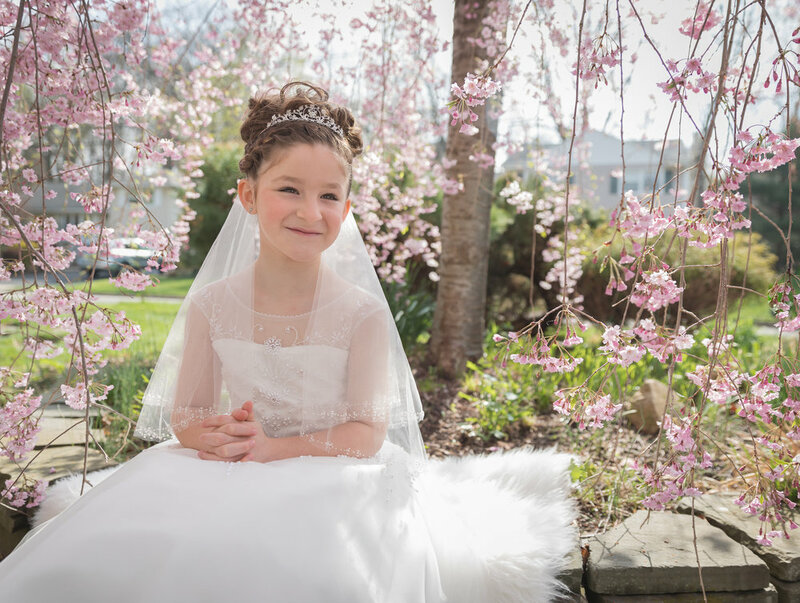 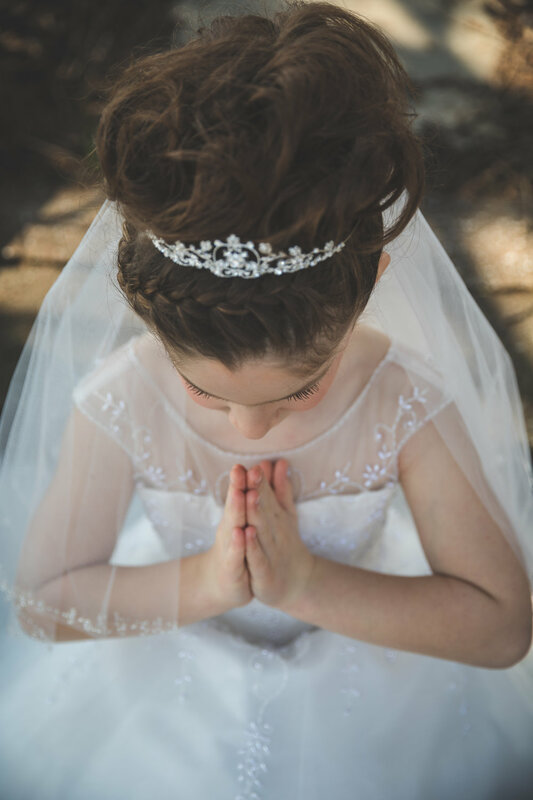 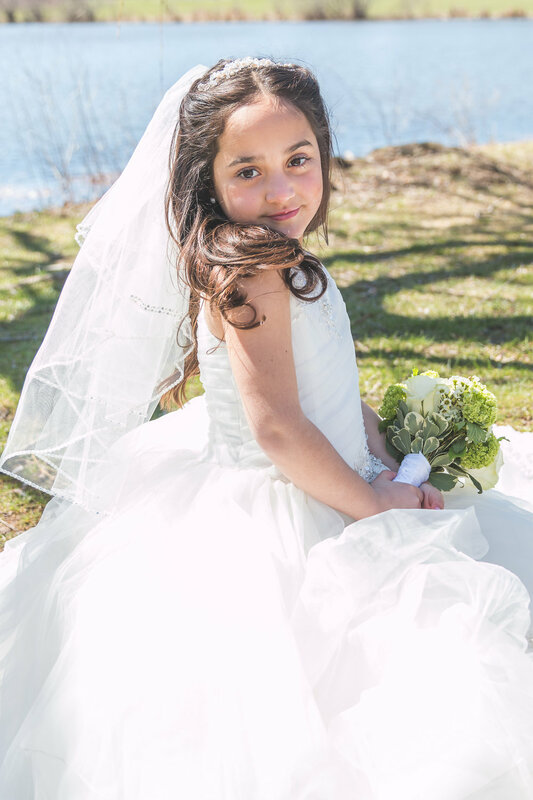 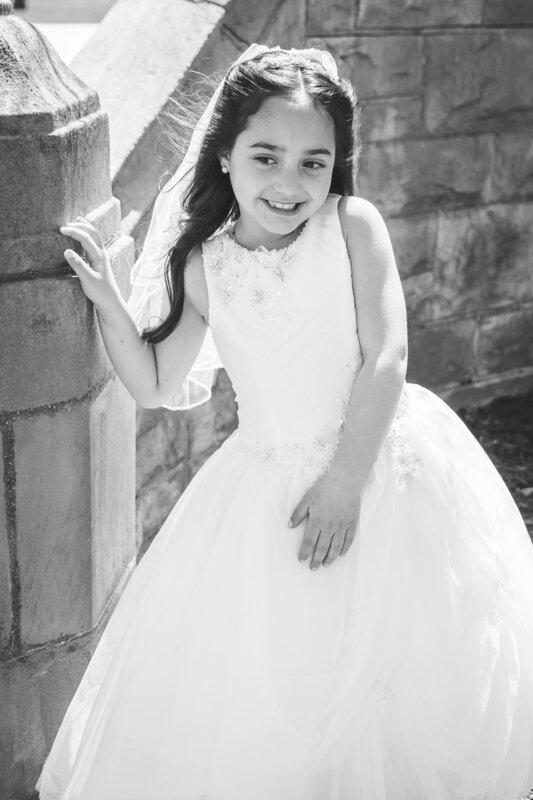 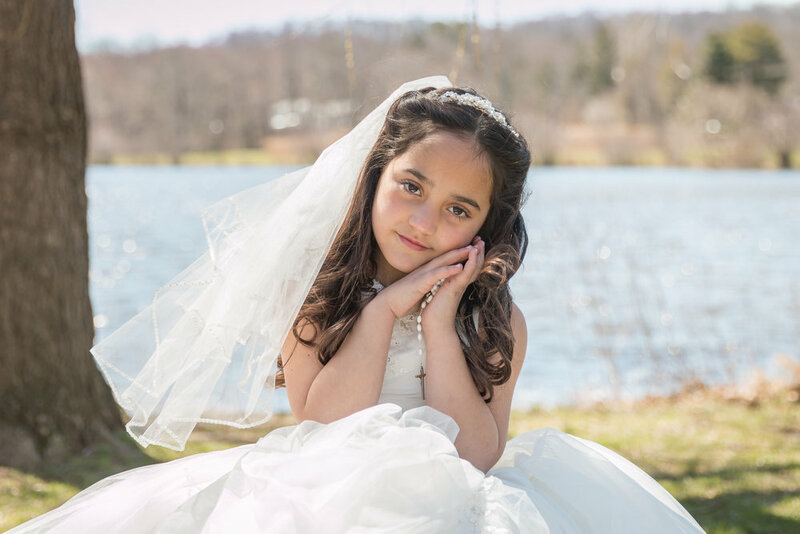 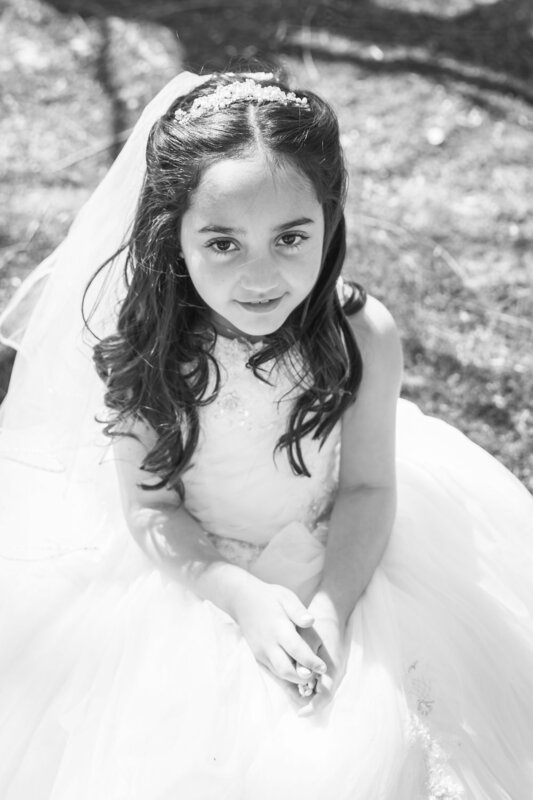 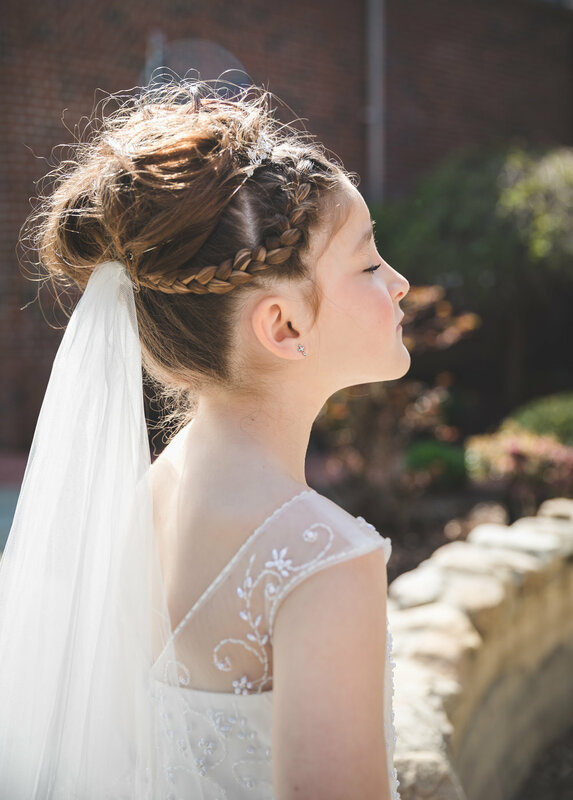 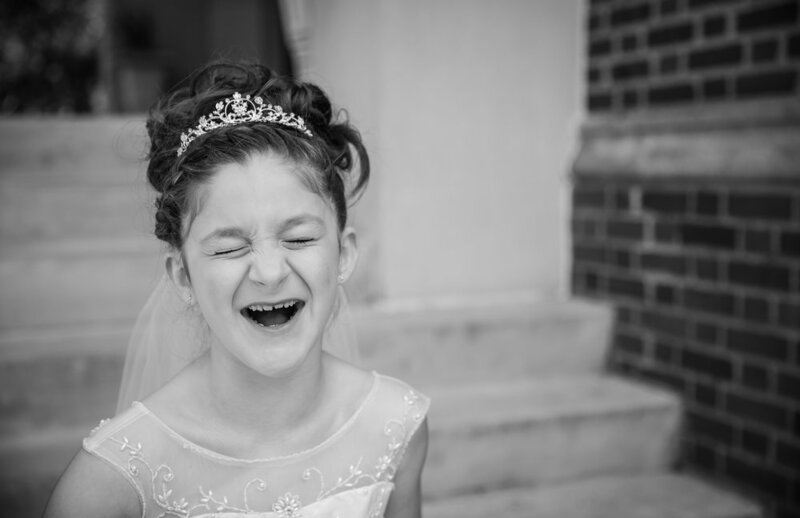 Malia did not only look absolutely gorgeous in her Communion dress, but oh what a trooper! 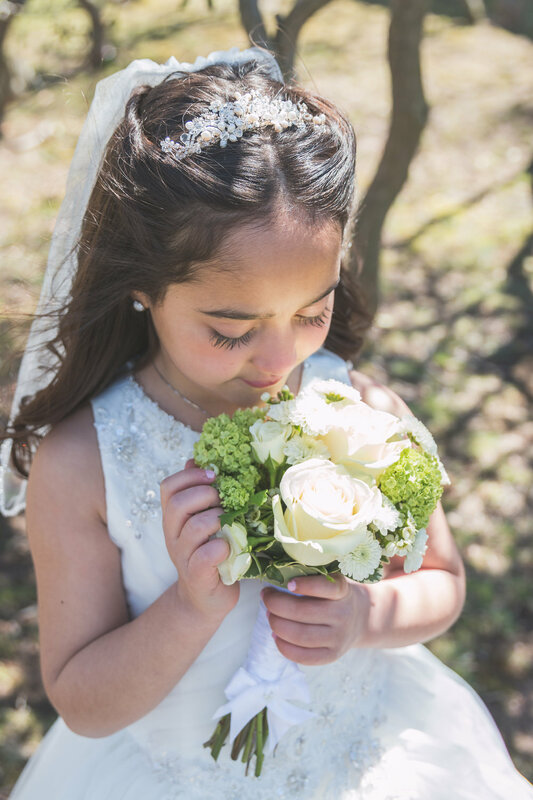 Don't let the stunning blue skies and bight sun deceive you-this pretty April day in Verona Park, NJ was FREEZING. 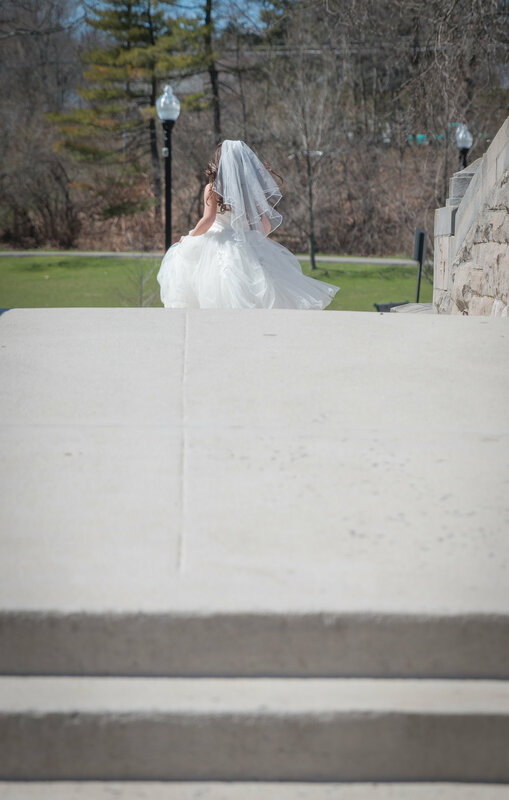 In fact, as we walked by the lake we actually got sprayed!